The Swindon Railway Station Forecourt project has been dogged by obstacles, weather, utility companies and the need to keep the area open 24 hours a day without disrupting the operations of the station. But in a short while, it'll all be done and looking down from above last week, the greenery is making a big impact. 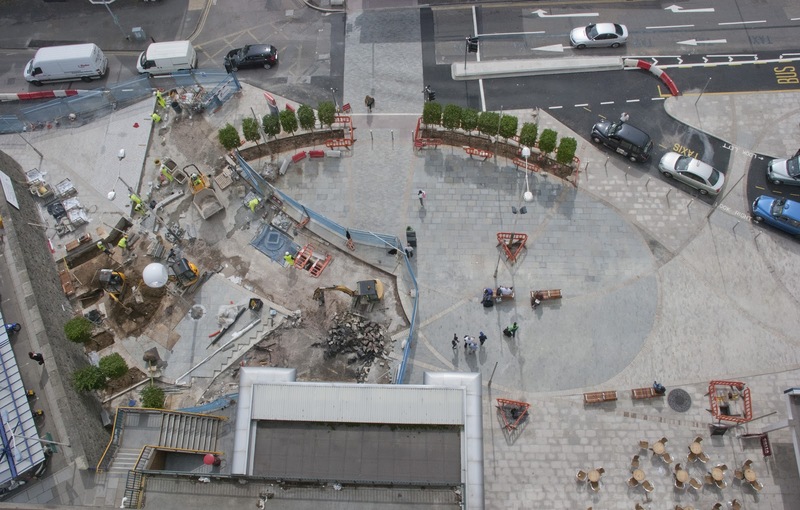 Once the paving is finished, a vast pedestrianised space will greet passengers, with seats, trees and what's called 'wayfinding' in evidence through the arrangement of the street furniture. Even if people don't notice the new map and sign in front of the main doors, the paving, arrangement of the trees and crossing will help to direct people towards the bus station and town centre.